Your first visit to Chicago should definitely include a trip to the Chicago Cultural Center (78 E Washington St.). Since opening in 1887, this landmark serves as the official reception venue where the Mayor welcomes all of the city’s most important visitors from presidents and royalty to community leaders and diplomats. While some pretty impressive people have graced the doors, everyone is welcome to explore this beautiful building. As the nation’s first free municipal cultural center, the Chicago Cultural Center is popular with locals and tourist alike and provides dozens of ideas on how to fill your days, as well as being home to many interesting programs and art exhibits. In fact, more than 1,000 programs and exhibits are featured here each year. 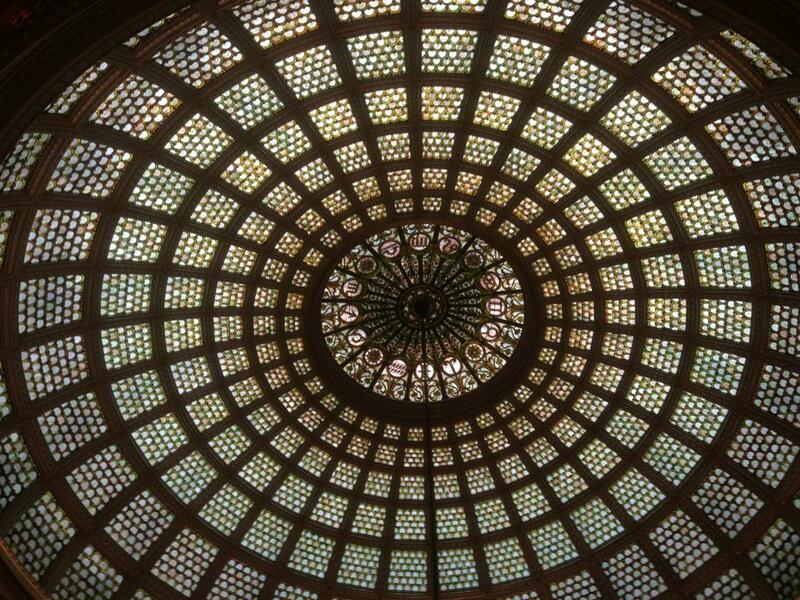 World’s largest Tiffany dome at the Chicago Cultural Center. While you’re there be sure to check out the largest Tiffany glass dome in the world spanning more than 1,000 square feet and containing around 30,000 pieces of glass. 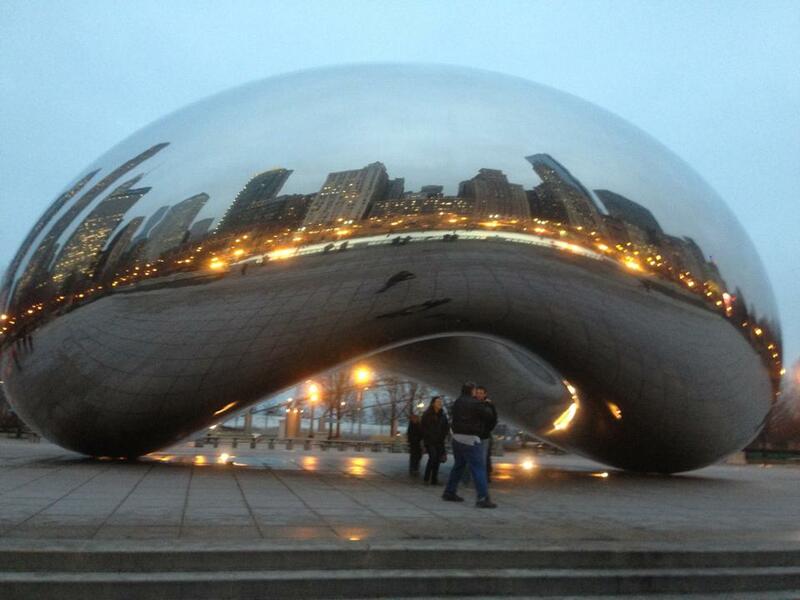 To get to know the city even better take advantage of the Chicago Greeter program. With over 200 volunteers waiting to show you their city, the Chicago Greeter is a free and customizable guided tour. All you have to do is sign up 10 business days in advance to enjoy a 2-4 hour tour based on your interests. Whether you’d like to learn more about the food, architecture or a particular neighborhood this is the best way to do so. Tours are offered in over a dozen languages so there’s no excuse to let this opportunity pass you by. If you just don’t have the time for a full tour or didn’t register far enough in advance, no worries because the Chicago Instagreeter has you covered. Simply pop by the Chicago Greeter desk in the Chicago Cultural Center Visitor Information Center for an hour-long walking tour. No planning required. The Chicago Cultural Center makes it easy for you to learn and explore so next time you find yourself in the Windy City don’t let an opportunity to visit this piece of history pass you by.